Colorful sugar skull designs for the Day of the Dead (Dia de los Muertos). 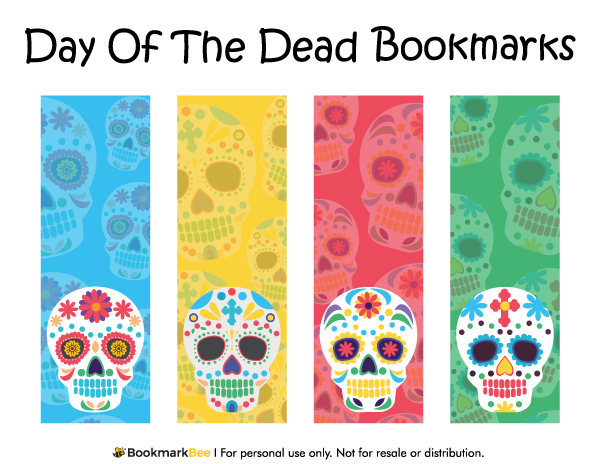 Each bookmark features a different skull design and background color. Download a free version of this bookmark below. Note that the free version includes a watermark on each bookmark, but we do offer a bundle of all bookmarks without the watermark.